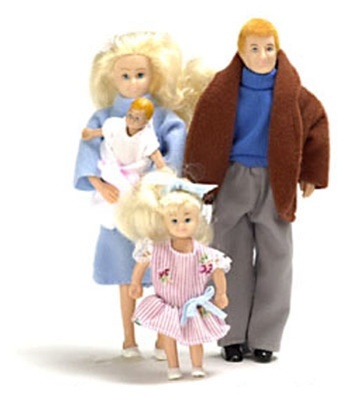 Family of four father, mother, small girl, and baby all with blonde hair. Dressed in modern day clothes. The set I have the little girl has on a different dress. It is pink with white lace trim and sleeves.